A portable play mat and a snazzy one at that, Ooh Noo’s super cute Little Village play mat is a monochrome dream! We’re big fans of Ooh Noo here at Babyology and we’re ecstatic that their pared back, Scandi-inspired collection now includes a brilliant play mat, perfect for baby. Aptly named the Little Village Play Mat, this circular delight measures a generous 120 centimetres round, providing ample space for a sweet babe to kick their legs and enjoy some tummy time. 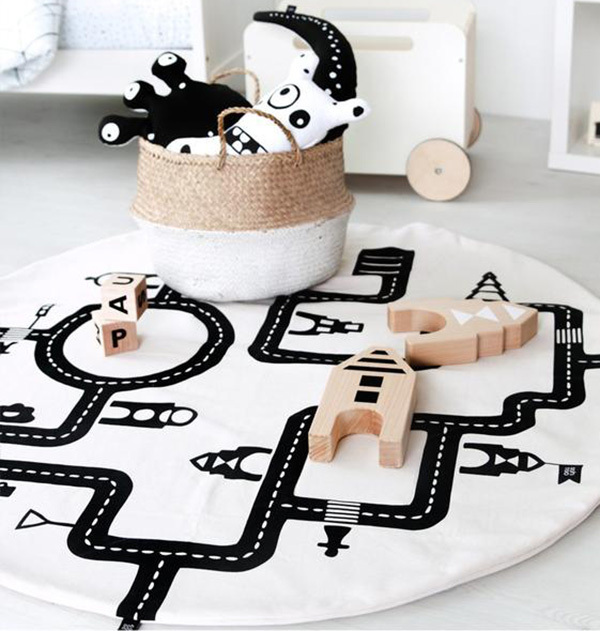 Made from soft woven cotton and dotted with a village streets print in black, this play mat will keep on giving when baby is older and ready to drive toy cars on it. A beautiful gift for a new baby, you’ll find the Little Village Play Mat at Pip and Sox, priced $139.